The Montreal Alouettes are in search of a new assistant general manager, with Coordinator of Football Administration Catherine Raiche and Senior Player Personnel Executive Justin Casey among the top candidates to replace Joey Abrams, according to TSN's Gary Lawless. 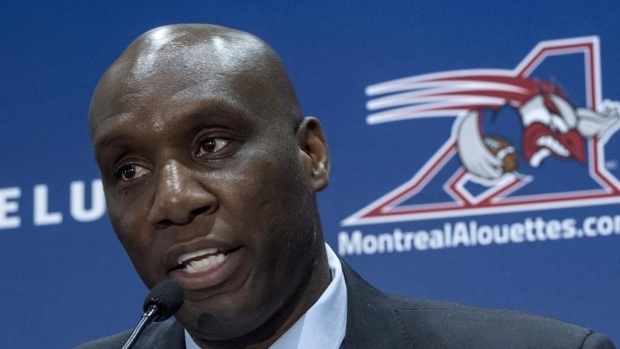 The Alouettes announced Abrams was leaving the team on Tuesday and new general manager Kavis Reed is looking to fill the role internally. Raiche is involved in various duties with the team, including contracts and management of the salary cap. Casey assists the general manager with salary cap and player payroll as well as evaluates players from USports, NCAA, and professional leagues. Abrams served as the Alouettes assistant GM last year and had been with the team the past 12 seasons, working his way up from a Football Operations intern. Reed is also looking to hire a Director of Player Personnel with Lawless reporting former Winnipeg Blue Bombers GM Joe Mack and another current CFL executive are in the running. Abrams interviewed for the GM position that eventually went to Reed.